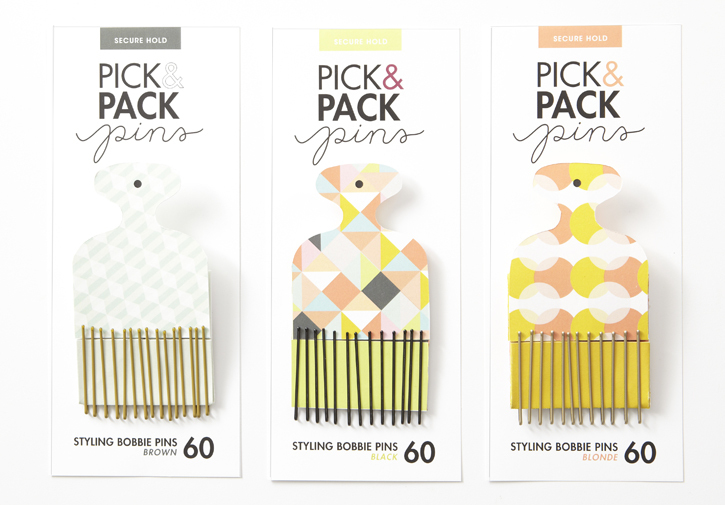 Pick & Pack Pins was a undergrad product & packaging design project where I was tasked to innovate on a product already on the market. 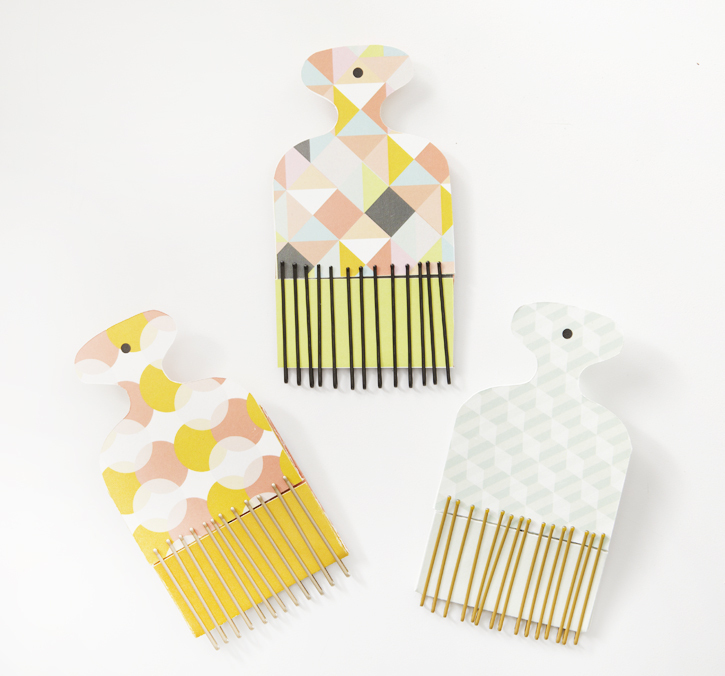 I came up with the concept that the “pick” would not only serve as the backer card for the product, but the consumer could then unfold and pop it open to use as a compact storage device. 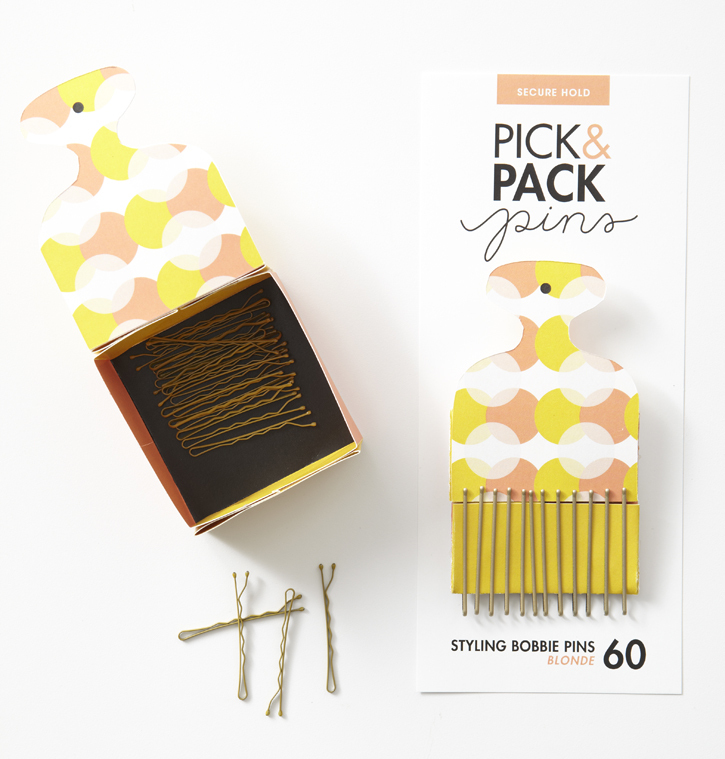 The bobby pins can be stored inside when the “pick” is closed, but can also unfold and serve as a box that can be stored on a countertop for easy access. This was a fun project that not only allowed me to think dimensionally, but also tie my childhood love of origami into the concept.